It is a good idea to adopt a new fashion and stay updated with the modern world. 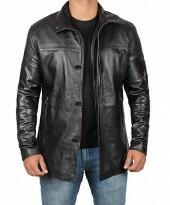 We have a good variety of jackets made up of pure leather which gives a badass look at a reasonable price. Check out our awesome jackets collection worn by celebrities. Now for sure many of you must be wondering, what’s it’s like to wear something unique? Something you have never seen before like they’re costly? Well you don’t need to have that feeling anymore, because here in this online store you can avail apparels that are of best price that are not like other stores that you wouldn’t think of touching their outfits. Presenting you the New Arrival zone where you'll find all types of celebrity leather jackets; outfits and other random apparels that are crafted in an excellent manner. Made available for men and women and you'll find these according to your personality liking. First come the most inspiring superhero outfits that all Marvel and DC fans would love. Starting from Marvel, comes the entire Avengers’ apparel that consist of Thor, Iron Man, Black Widow, Scarlett Witch, Captain America, Quicksilver and Hawkeye. 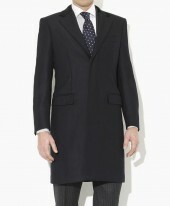 For DC comes these good looking ones like Penguin, James Gordon and John Constantine Coats. 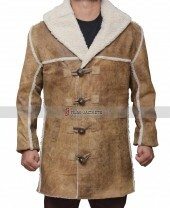 You have seen them with great interest of the way they act and their way of styling their outfits. If you’re a true supporter for either villains or superheroes, then these are your best choice. Some you can wear in the sense of a costume and some you can casual style it as well. 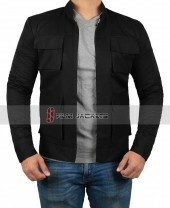 Next for those who are into Hollywood action movies and television series, there are some apparel relating to this category and one of them is from Tom Hardy which he wore in Child 44, both coat and jacket, loved by all James Bond, as varieties of suits are made available from Spectre movie that is going to be thrilling. Also available is the Terminator jacket, michael hoban jacket and Chris Pratt Jurassic World Vest, which are made in an exquisite manner. 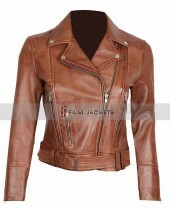 For the ladies, we got the Hunger Games jacket worn by Jennifer Lawrence, and it is of slim fitting wear. Let’s not forget for the Fast and Furious lovers as there is Vin Diesel jacket available here and is made in a way that looks similar to the movie. In fact, all are made similar to the movies and television series. Even Fifty Shades of Grey collection, such as of Jamie Dornan and Anastasia Steele apparels are here and words on the street they’re the most demanding ones of all time. Now in this New Arrival, there are also some fashioners who just want to create their own fashion statement, making themselves look even better and stylish than their competitors. 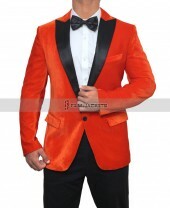 Solutions are given for that, and that is these Lettermen Jackets. Available in Red, Green, Blue, Combination of Red and White, Blue and White, Black and Cream and so on, these apparels are made from high-quality cotton fabric. Believe this, these are the finest celebrity leather jackets you'll find here only in this online store. Go ahead check them out, decided what will go best in casuals and what will go best in semi-casuals. Impress others the outfits you come with, make them believe that you can style even better than them. So choose wisely, and start placing your order on these outfits now.